This was a 14,162 sf tenant improvement with a six-week construction schedule and ran concurrently with L11. 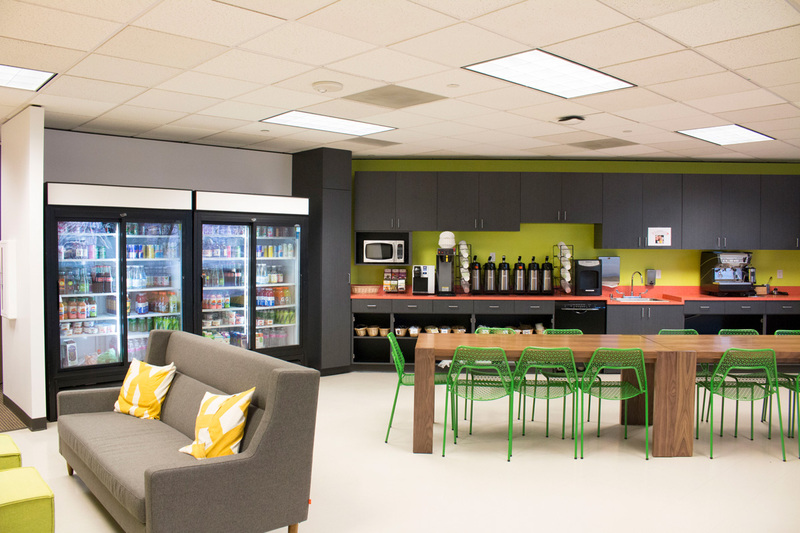 The project included re-use of existing offices and meeting spaces with a full build out of a new IDF closet and new paint throughout. The new space is a combination of office and open space environment. The construction also included bringing the existing ceiling and all MEP above the ceiling to current building codes. Within the six week schedule the project team coordinated with owner sub-contractors, including security, Audio Visual and furniture. Coordination included confirming electrical data location for new furniture, core locations for electrical, data and security in Cozy room and conference rooms as well as coordinating with the furniture installation vendor. This was a 9,500 sf tenant improvement with a six-week construction schedule. The project included removal of existing floor finishes, new suite entry lobby, open kitchen with upper and lower cabinets with a plastic laminate island, open floor plan and IDF closet. New finishes included carpet tiles, paint throughout, cleaning of existing blinds and plastic laminate cabinets and counter tops. The construction also included bringing the existing ceiling and all MEP above the ceiling to current building codes. Within the six week schedule the project team coordinated with the owner and sub-contractors, including security and furniture. Coordination included confirming electrical/data locations for new furniture and coordinating with the furniture installation vendor. This was a 6,900 sf tenant improvement with a six-week construction schedule and ran concurrently with the L2. The project included removal of existing floor finishes and interior offices with new carpet tile and painting throughout. 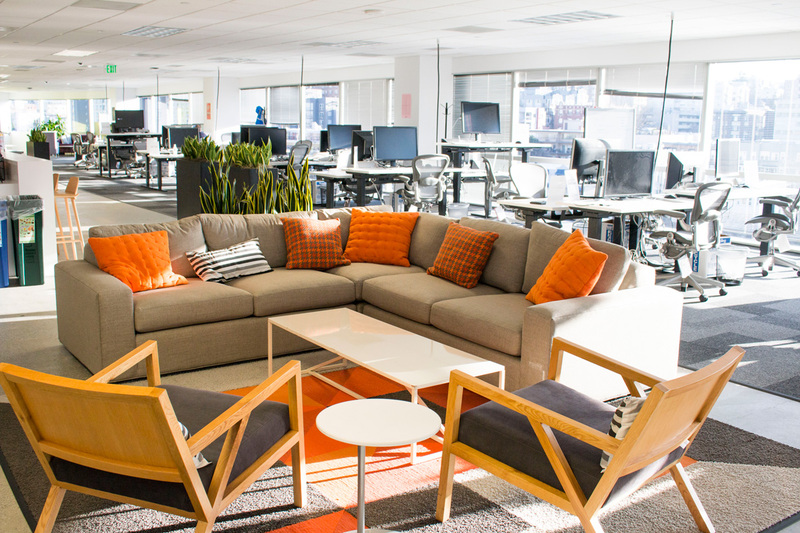 The new space is a combination of office and open space environment. Although this floor does not have a full IDF closet, two 3” conduits were provided to feed data from the 11th floor down to the 10th floor IDF closet. Construction also included bringing the existing ceiling and all MEP above the ceiling to current building codes. Within the six week schedule the project team coordinated with the owner and sub-contractors, including security and furniture. Coordination included confirming electrical/data locations for new furniture and coordinating with the furniture installation vendor.